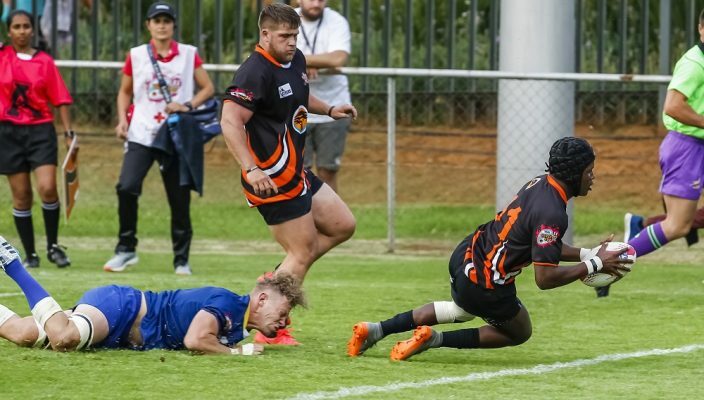 Motivated by his father, University of Johannesburg’s Odwa Nkunjana showed his potential by crossing for two tries in their intense Varsity Cup rugby derby against Wits in Johannesburg on Monday. 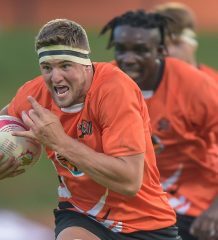 Player that rocks Vincent Nkunjana of UJ during the FNB Varsity Cup rugby match between UJ and Wits at Wits Rugby Stadium in Johannesburg on the 12th March 2018. The 22-year-old wing was instrumental in helping his team to a crucial 29-17 victory in the encounter at Wits after they led 21-10 at halftime. The result took UJ to fourth on the log, two points behind Wits, but with a match in hand. 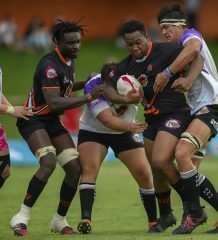 They are well placed to make a push for the semifinals in their last two games – against UP-Tuks and University of Cape Town. A third year transportation management student, Nkunjana was pleased to receive recognition by being named the Player that Rocks for the match. “Yes, that was very nice and in a way it’s a tribute to my dad who has always motivated me during my rugby career,” he said. “He was very good at athletics in his younger days, but did not have the opportunities to achieve what he could have. Growing up in Witbank, Nkunjana matriculated from Monument High School in Krugersdorp before moving to UJ, where he is living on campus in Auckland Park. In his first year of Varsity Cup rugby, having previously played for the Young Guns, he said he was enjoying his rugby at the university. “The coaches here [led by head coach Werner Janse van Rensburg] are really great and they are helping us a lot. He added that he was also concentrating on his communication skills. 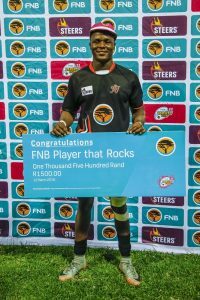 With Blitzboks sevens legend Seabelo Senatla as his role model, Nkunjana said his eventual goal was to try to earn a provincial contract. “I really look up to Seabelo Senatla because he is so fast and plays hard, but always stays humble. Knowing that Wits were having a good season, the UJ flyer said they had put in quality preparation for the match this week. UJ did exactly that when, after Wits fought back to trail by just four points midway through the second half, they kept their discipline in the closing stages to secure the victory. Their next match is in Pretoria on Monday against UP-Tuks at Tuks Stadium, starting at 7pm.